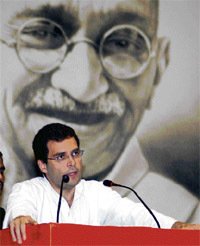 They have often been described as the Congress party’s ten commandments. These are the preconditions for enrolment of new members which were enshrined in the constitution of the 120-year-old Congress when the grand old party was fighting for India’s freedom from British rule. Tyeb Mehta’s untitled work of an androgynous falling figure is set to triumph at Saffronart’s winter online auction of modern India art works. The auction, which will take place December 5 and 6 on www.saffronart.com, is the 19th in the series by leading online modern art auctioneer Saffronart and features 110 works by 36 artists. While humans and animals began their journey together, yet in due course of time, animals like dogs, cats and house sparrows have been rendered homeless. Just as homeless human beings turn to begging, stealing and plundering for survival so do the homeless animals out of similar compulsions. As the one and a half hours’ Finnair flight from Helsinki to Warsaw was readying to touch Warsaw, the hostess told us that we were about to land at the Frederic Chopin airport. Expectedly, winner of Amul Star Voice of India contest Ishmeet Singh is on cloud nine but this Ludhiana lad feels his "journey has just started". Overnight this student of B.Com Part I has turned into a celebrity and he realises that his life may never be the same. In a telephonic chat with The Tribune from Mumbai, he happily not only acknowledged but also expressed gratitude to the immense support that people of Punjab lent him, leading to his victory. This years Golden Palm winner 4 Months, 3 Weeks & 2 Days (Romania) is a brilliant story of two women set against the backdrop of that country under Communist rule in the 1980s. Female bonding has become an important topic for cinema after women’s lib and this story could not have been better crafted. Thrilled with the rave reviews her performance in Om Shanti Om has won, budding actress Deepika Padukone says she prepared for the 1970s era character by watching films starring Hema Malini and Helen. Believe it or not, a priest in UP's Lalitpur district has developed a bizarre liking for electric shocks. He cannot do without his daily dose for a sound sleep. Baba Mangal Das, the priest of Ram Janaki temple at Bamhorisar village in Lalitpur district, is addicted to this weird habit for three years. He strangely claims to have never faced any adverse effect. by Nathan Englander. Faber and Faber. by Dev Anand. Penguin Books India. Pages 438. Price 695. Tata McGraw-Hill. Pages 272. Rs 450.
by Jeff Gerth & Don van Natta Jr.
John Murray. Pages 438. £20.